Is there any paperwork or document for the mechanical systems of 9275 County Rd 1 Rd, Adjala Tosorontio, Ontario? I need more information about the property at 9275 County Rd 1 Rd, Adjala Tosorontio, Ontario. How ist the neighborhood, location and nearby amenities for 9275 County Rd 1 Rd, Adjala Tosorontio, Ontario? I have questions about the roof, foundation, insulations and mechanical issues of 9275 County Rd 1 Rd, Adjala Tosorontio, Ontario? I need more information about property details. What's wrong with this house? Is this a short sale? Is there any maintenance for 9275 County Rd 1 Rd, Adjala Tosorontio, Ontario? What is this property worth in today's market? What are "closing costs", and how much? What steps should I take when looking for a home loan? What price home can I afford? Is my credit good enough to buy this house? What are the best mortgage options for me? How flexible is the seller on the asking price? 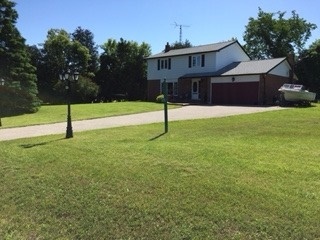 How low can I consider offering for 9275 County Rd 1 Rd, Adjala Tosorontio, Ontario? Your Own Private Paradise. Beautiful Country Home In Hockley Valley. Large Pie Shaped Lot .89 Of An Acre. 262 Foot Frontage. Spacious Principal Rooms Great For Entertaining. Eat In Kitchen, Separate Sunken Family Room With Gas Fireplace And Walk Out To Yard. Above Ground Pool Surrounded By Deck. 4 Good Sized Bedrooms. Fully Finished Basement With Rec Room, Laundry And Storage. Flat Property Surrounded By Towering Trees. Close To Elementary School, Trails. Updates Include He Stove (2012), S/S Liner (2012) For Wood Stove, Pool Pump (2010), Roof (2010), Windows And Doors (2008), Propane Furnace (2007), Hardwood Floor (2015), 2Pc Bath (2016). Water Heater Owned. Includes Lawn Tractor.